'96 Chevy Astro 2WD, 4.3L V6, 170k miles. I'm getting fuel, air, and spark. The battery, starter, fuel pump, and fuel filter are fairly new. Engine cranks all day, but engine will not fire. Distributor cap and rotor are clean, air filter is clean. The engine was *coughing* AFTER releasing the ignition key (puffing out of the exhaust 2-3 times). Tried starting in neutral, same result. Tapped on starter, fuel filter, and catalytic converter, no adverse signs. I swapped starter and A/C relays (identical clocking), no result. I suspect a bad ignition switch. Thanks in advance. I have a pressure tester, but I need to acquire an adapter to attach to the fuel pressure schrader valve. Aftermarket fuel pumps have failed me before (on this same vehicle), so I can't rule that out even though the pump was replaced not long ago. I removed the #6 spark plug and boot, re-attached the wire to the plug, grounded the plug on the intake manifold and cranked the engine. Spark was visible on the plug electrode. I read the forum rules and have never heard of a "noid light" before, so I will have to look into that in order to check injector pulse. My plan moving forward is to rule out the battery (Optima red top, two years old) by having it tested and also to attempt to start using starting fluid. I don't have all the tools I need to diagnose the problem. I'm just a guy trying to get to work in the morning. What baffles me the most is that the problem was sudden after the vehicle sat for three days; there was no indication that the engine was hard-starting. Your testing methods leave a lot unknown. As for the spark you need to use an adjustable spark tester to determine just how much you have available. With the fuel pressure, you need to know exactly what the pressure is because this vehicle is very pressure sensiti ve and will not run under 55PSI. Since you have an Optima battery you need to listen to cranking speed of the engine and not test it. I know others here will post their own opinion here, but I have seen perfectly good optima batteries not come to complete charge on a conventional tester and fail a conductance test that was designed for wet cell batteries yet still be a good battery. Its because the optima is a totally different design. They make their own charger now, which does both optima and conventional batteries but its $200 for it. Hammer is right about the fuel pressure. Your engine is very picky about what it will accept to run and 55 is the BARE minimum or you will have issues. Spark must also be known good. I know you need to get to work in the AM same as all of us, but you also cannot give us the right info to properly diagnose the proper fix. We don't throw out random ideas, thats what the counter monkeys at Autozone do. I understand that I lack the sufficient data thus far. I will post results as they occur. Thank you all for your prompt input (especially you, Discretesignals). I did a lot more work today with no progress. I used a pressure tester on the fuel line. The vehicle spec is 58-64 psi with the ignition key on. The pressure reading was 66 psi during prime, and a steady 62 psi after prime. My ignition control module tested bad, so I replaced it. I replaced the ignition coil as well. The ignition wires, distributor cap, and rotor tab have an acceptable resistance reading. The plugs were clean and had an acceptable gap. I verified that the battery was good (voltage and cranking amps). Battery terminals and ground wires were free of corrosion, but cleaned anyway. I have not yet tested/verified injector pulse, as I do not have the tools and the injectors are buried within the upper intake manifold. Testing for this may be inevitable. The 4.3L Vortec (engine VIN code W) has no adjustable timing. With spark, fuel, and air all confirmed, I must suspect timing. The distributor is keyed so that it can only be installed two ways, 180° opposite. Someone suggested a possible timing chain jump. I rotated the engine to what I believe to be either TDB or BDC (judging by the grooves in the aftermarket harmonic balancer and timing cover rib), but without markings I can't be positive of engine orientation. Is there another way to verify TDC without timing marks? Is timing chain jump possible/probable? You cannot change the timing. the only thing the distributor does is synch the injectors and secondary ignition with the primary trigger. You still need a noid light bulb to test the injectors. You can access the wires from the plug on top of the manifold and jumper them to the noid light bulb.I assume you have verified spark now. The distributor is keyed so that it can only be installed two ways, 180° opposite. The oil pump drive can be installed two ways. The distributor rotor drive can be positioned 12 different ways. To set the distributor correctly you have to set the crank shaft so #1 is TDC on the compression stroke. Then you have to line the rotor so it points to number one. Be careful because the contact for number one in the cap isn't where the number one wire connects. There is also a triangle mark with the number 6 in the distributor housing that points to number one in the cap. With the distributor seated fully, the rotor notch should point to the triangle mark. To find TDC on 1 remove the spark plug on number one. Crank the engine till you feel a big puff of air. You should be close to number one TDC. Line the notch on your balancer and cover. You stated you had spark. Why did you replace the ignition control module? If the module was bad, you wouldn't have any spark. I've read that a noid light is basically just a 12V incandescent bulb. Is this true? Could I possibly use a 12V test lamp to confirm injector pulse? Discretesignals, everything you described matches what I saw when I had the distributor removed. I will check to see that the horizontal key in the inner diameter of the distributor shaft can rotate independently from the distributor/rotor gear, then confirm TDC and orient the rotor to the #1 contact in the distributor. I had my ignition control module tested at O'Reilly auto parts. The first test was for low RPM (failed), the next test was for high RPM (failed), at which point the test halted and said to replace unit. The test was run again with the same result. There was visual evidence on the back side of the module where excessive heat appeared to have been present, as the thermal paste was melted/dispersed in an area about 1/2" square. Upon installation of the new module, all ground and heat sink surfaces were cleaned thoroughly with a wire brush, and thermal paste applied liberally to heat dispersing surfaces. Someone had suggested inspecting the crankshaft and camshaft sensors, but I read that if either of these were faulty, there would be no spark. Can anyone confirm or deny this? I will be performing these additional tests this evening and will post my results. There is a GM service bulletin that recommends shimming of the sensor between sensor flange base and plastic timing cover (two service part shims provided at .005" thickness each). Link deleted provided some subjective confirmation. I installed a new sensor with a hand-cut rubberized gasket (1/32" thickness). The engine fired immediately, followed by a brief moment of the ECM re-adjusting to the new sensor. The vehicle starts and runs great now. I understand that this forum takes a very scientific and methodical approach and I appreciate everyone's input and patience with my "backyard mechanic" approach. I hope that this follow-up can assist others (pros and amateurs alike) to diagnose no-start conditions of a similar nature. EDIT: Additional details were excluded for length. I will answer any and all questions related to this repair for posterity's sake. Glad you go it fixed and good job in researching this to find that TSB. For future reference, a 12v incandescent bulb would draw to much current and hence wouldn't work as a noid light. But a set of noid lights from Performance Tool (which is sold in every single US parts store) costs less than $20. Should you run into the need for them, it would be a good and cheap addition to any handyman's toolbox. I'm sure we'll be seeing you back again, til then enjoy the running car. Undoubtedly I will be adding a noid light kit to my diagnostic tool arsenal thanks to this forum. The crank sensor provides reference signal for both spark and injector pulse so if you claim to had spark, no one is going to look at the crank sensor. Apparently, you were wrong about the spark test. There is also no such TSB that applies to your vehicle. I have never seen a Cranks sensor require shimming. PS, Please read the rules for posting. Links are not allowed except for your own pictures. Apparently I was wrong about the spark test? Are you suggesting that the spark that I saw was a figment of my imagination or a lie? Is it possible that I was getting intermittent spark due to the crankshaft sensor making apparent contact with the crankshaft? Is it possible that the mods here don't know all that there is to know about every make and model of every vehicle ever produced? Quite frankly, the elitist attitude in this forum is incredibly off putting, and if the purpose of this forum is to help others solve vehicle problems, then the culture that exists here is discouraging that purpose. Some people may not possess all the required diagnostic tools and must take a less conventional approach. Fathom that! Let me drop some knowledge on you. The TSB below doesn't apply to my specific vehicle, but it's the same "W" engine code. Is it possible that auto manufacturers don't issue TSB's that cover every single issue on every single vehicle? Surely anybody with moderate auto repair experience can confirm this. Go ahead and view the picture I posted above, and compare it to this TSB. Now you've heard of a crankshaft position sensor requiring shimming, straight from the mouth of the manufacturer. You're welcome. My issue was a combination of the TSB below, as well as TSB #1589507 (pertinent to my cranks-but no start condition). I would link to it, but apparently that's not allowed. 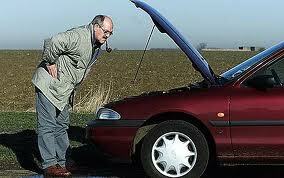 Some owners may comment on a rough running condition or a Service Engine Soon (SES) light being illuminated. Upon investigation, the technician may find a DTC code P0300 or P0335. The crankshaft sensor may be contacting the reluctor wheel. Remove the crankshaft sensor. Refer to the Crankshaft Position Sensor Replacement procedure in the Engine Controls-4.3L sub-section of the Service Manual. 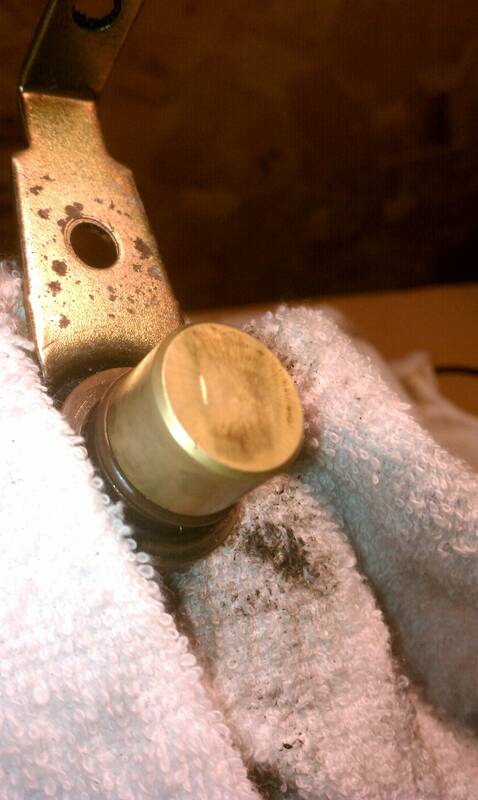 After removing the sensor, inspect the end of it for witness marks that would indicate contact with the crankshaft. If contact with the reluctor ring is indicated, then inspect the front cover for cracking or other signs of alignment concerns. If the inspection indicates that the cover is causing mis-alignments, replace the cover. If replacing the cover, then the 0.5mm shim is not needed. If the inspection of the front cover indicates that the cover is not the cause of mis-alignments, then the sensor should be shimmed. Add one shim between the sensor and the front cover. If the concern still exists, then add the second shim. Unless the sensor has been rubbed through the casing or deformed by contact with the crankshaft, it should not be replaced. In either case, the crankshaft relearn procedure should be performed after any repairs. First off. That TSB doesn't even apply to your vehicle and you don't have the codes set that it was designed to resolve. The bottom line is that the crank sensor provides reference signal for spark and injector pulse and without it, you have none or at least a very out of time and distorted version that would have been very obvious. Nothing I have ever seen happen. If you don't like the free help you're getting, there are plenty of sights that you can go to and pay for it. I've expressed my gratitude multiple times in this thread. Just because you don't agree with me, that doesn't mean that I'm wrong. But at least now you've heard of a crankshaft position sensor that requires shimming. Be honest, is it possible that that TSB could apply to vehicles not mentioned? Especially when my condition was identical to what was described in the TSB? Be honest, is it possible that that TSB could apply to vehicles not mentioned? Do you honestly believe that the engineers that wrote that TSB didn't realize there were earlier versions of that engine and just forgot to include them? Of course not! Besides, that TSB was to resolve a code problem with a misfire, not a no start condition. We try to help a lot of people in here and it is very tough. Most of the threads that are made are pretty vague and offer no useful information to help us help you. There are exceptions though. Most DIY don't have the tooling or experience to troubleshoot some of these complex problems, so we try to work with what we are given. Sometimes it gets frustrating because we want to help you resolve your problem, but without enough info it is almost impossible. Being a mechanic is more than just sticking a part on a vehicle as you are figuring out. These complex computer operated systems on these vehicles are hard to diagnose in a service bay besides trying to do it over the internet. I apologize if I insulted you with my pictures. We get a lot of threads in here where Autozone employees trying their hand at diagnosing someone's car. I understand they are just trying to help, but most of the time they are wrong because they don't have the proper tooling and knowledge. Glad to see your problem is resolved and your truck is running good. HammerTime: So can we agree that my issue was identical to that of the TSB, only there was no TSB issued for my vehicle? I can agree with that. My issue was a combination of the TSB below, as well as TSB #1589507 (pertinent to my cranks-but no start condition). Yet again, another TSB with identical symptoms which does not apply to my exact make and model (albeit identical engine VIN code). There was in fact corrosion in my distributor cap. This bulletin is being revised to delete a model and add information to subject and inspection of distributor vent screens. Please discard Corporate Bulletin Number 03-06-04-041 (Section 06 - Engine/Propulsion System). This condition may be due to high levels of internal corrosion in the distributor, causing misfire, rough idle, stall and Engine Cranks But Does Not Run. This corrosion is attributed to a lack of airflow internal to the cap caused by the vent screens being clogged with debris. Remove the vent screens and inspect the internal components of the Distributor Ignition System using the procedure listed below. If the distributor base has to be replaced, the vent screens will also have to be removed on the new distributor. If there is evidence of this internal corrosion, replace the affected component. Refer to the appropriate procedure in the Engine Controls sub-section of the applicable Service Manual. Discretesignals, I fully understand. I did my best to supply whatever information possible, without which I understand that you can offer little to no help. And believe me, I loathe the mouth-breathers in the auto parts stores as much as the next guy. For a job that pays 10-12 bucks an hour, what more can you expect? Once again, I sincerely appreciate the assistance and hope that this post can help someone else out in the future who is having the same problem as me. Thread locked to prevent spamming and hijacking.